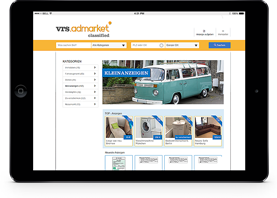 VRS Media GmbH & Co. KG operates themed portals for over 450 daily and weekly newspapers, focusing on topics surrounding “bereavement,” “wedding,” “baby,” and “celebrations”, classified ad markets, as well as advertisement submission systems (AdBooker) for all ad markets. 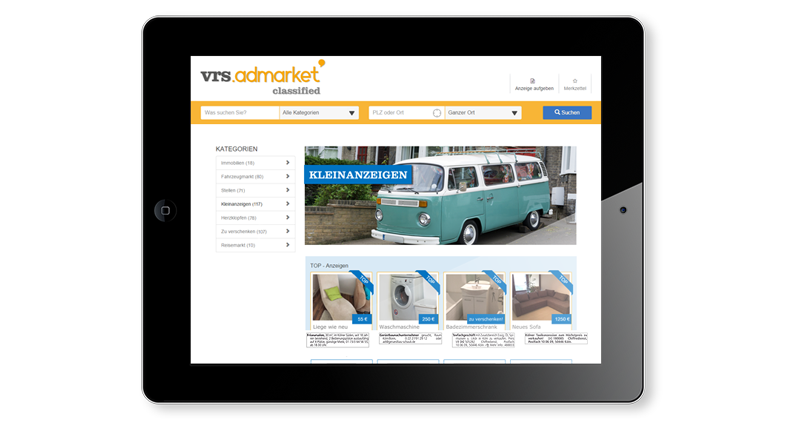 With over 50 million page views and 100,000 user entries per month, the market-leading white-label software is by far the most widely used offer for family-related classified ads markets in the German-language internet. The white-label solutions by VRS Media are the ideal option for newspaper publishers who want to offer their readers and business customers top-quality platforms for all family markets, including “Memorial”, “Wedding”, “Baby”, “Congratulations” and “Family Announcement” websites, in their online portfolio. 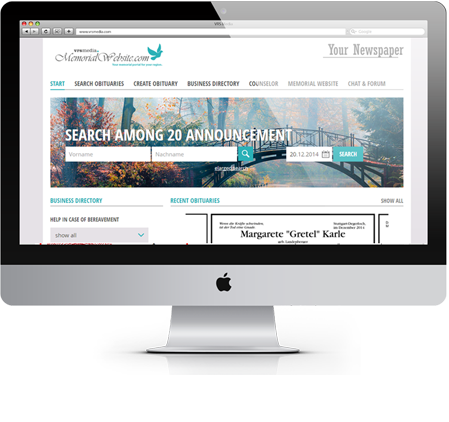 Provide your readers and advertisers, as well as your in-house advertising department, with the ideal tool to conveniently design advertisements online, submit them for print issues and additional online classified ads markets. With the classified ad portals, which include “Ad Market Classified” and “Ad Market Basic” from VRS Media, you get modern, clearly structured and customized online extension for your ad markets. Our offers, designed as software-as-a-service, include more than just the implementation of the portal software and data maintenance. In addition to our comprehensive customer service, we offer you support in marketing your VRS Media themed portal. When choosing VRS Media, publishers purchase not only market-leading technology, but gain a partner which is proactively interested in the continuous improvement of its performance. All theme portals and ad management systems are delivered ready-to-use. After the implementation, we take care of hosting, maintenance, support as well as the daily processing of your advertisement data and the further development of the software. We drive an intense, best practice exchange with and between our publishing customers. This is the best basis for an ongoing optimization of our software and services. In the course of regular customer workshops in Bremen, new ideas can be discussed and put into practice. All solutions allow you to interface, for example, even individually to your commercial publishing system or your SSO server. There are already diverse interfaces to all conventional publishing systems. There is the option of choosing a mobile-optimized portal version for all themes. 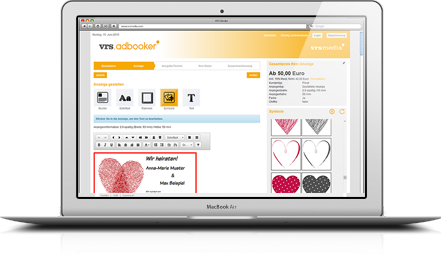 The VRS AdBooker allows to submit classified ads using your smartphone. 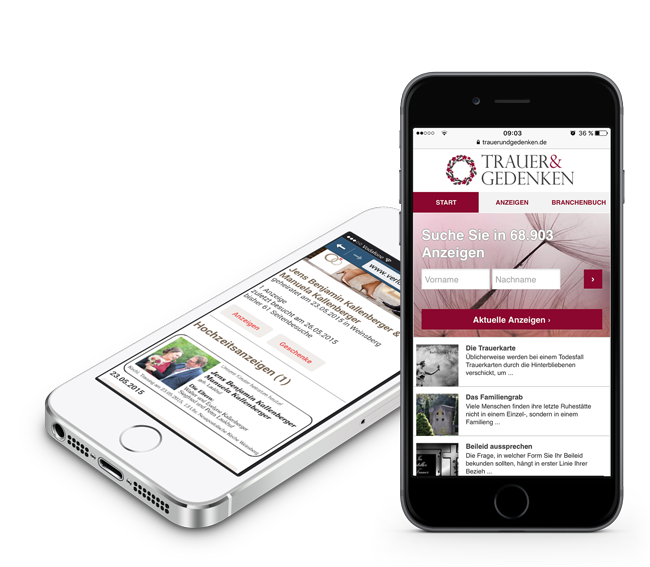 Thanks to VRS Media and the online memorial of the Süddeutsche Zeitung, SZ Gedenken, we have created a place of remembrance for the readers and those in mourning. Through the high quality and safety standards of VRS Media, discretion and seriousness that is so important in this sensitive area is reinforced. At the beginning of 2015, we moved our family ad markets from our previous service provider to that of VRS Media. With the help of the portals RP Trauer and RP Freude, we were able to position ourselves for the challenges of the web and even further strengthen our status as a reliable partner online. As the first publishing customer and partner of VRS Media, we have accompanied the Bremen-based online portal specialists on the road to success since 2009. Since then, we have profited especially from the continuous, further development of our themed worlds. They saved us a lot of resources and basically allow our online world to run itself. The Kleine Zeitung has been collaborating with the portal specialist VRS Media since 2015. Together with our local service providers we’ve taken an important step towards professionalising the digital obituaries by using the VRS memorial portal solution. Our advantage: We benefit from the know-how and the specialisation of VRS while having to use few of our own resources.